Although mushrooms are not at the top of everyone’s lists when it comes to garnishing their meals – some folks are known to even make a special request they not be included – their overall popularity at the lunch or dinner table is indisputable. It isn’t just the taste that attracts so many, mushrooms’ medicinal qualities also make them appealing. Medicinal use of mushrooms dates back thousands of years in Asian countries, per draxe.com, and has been gaining steam in the U.S. and other western nations in recent decades. Not only are mushrooms great at fighting inflammation and bolstering our immune system, their antioxidant properties via bioactive molecules – meaning they also are an effective fighter against the potential damage of free radicals – make them useful for warding off viruses. There’s little not to like about mushrooms, as even their “brothy” taste can turn an ordinary meal into a scrumptious delight. Mushrooms are often thought to be vegetables, but technically they’re not. They’re actually a fungus with nearly incalculable numbers of different species. Scientists who have studied mushrooms have taken a stab at a number, estimating there to be more than 140,000 species of mushrooms in the world, although “only” about 14,000 have been identified and catalogued. In terms of a nutritional profile, it’s almost impossible to find a flaw with edible mushrooms, the best-known types of which include cordyceps, reishi, crimini, portabella, white button, maitake, shiitake and oyster. In general, they not only skimp on cholesterol and calories, they also are low in sodium and fat, which is why they are also known as “functional foods,” as medicalnewstoday.com puts it. As a whole, unprocessed food, mushrooms apparently can reduce the risk of obesity, diabetes, heart disease and overall mortality. Diabetes. The abundance of fiber in mushrooms has been shown to lower blood-glucose levels in people with type 1 diabetes, while improving the levels of blood sugar, lipids and insulin for those with type 2 diabetes. Digestion. Also, per medicalnewstoday.com, the fiber – such as that from grilled portabella mushrooms and stir-fried shiitake mushrooms – not only benefit the digestive system, but reduces the risk of metabolic syndrome and heart disease. Heart Health. In addition to the fiber found in mushrooms, the potassium and vitamin C also play a part in cardiovascular health. 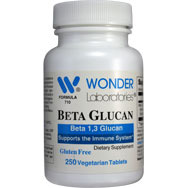 The combination of abundant potassium and scarcity of sodium helps in lowering unhealthy high blood pressure levels., while the beta-glucan sourced from shiitake mushrooms has been shown to lower “bad” cholesterol levels. Weight control. The dietary fiber found in mushrooms – beta-glucans and chitin – serve as “bulking agents” in the digestive system. This promotes satiety while diminishing appetite, making us feel fuller quicker and longer, thus reducing our caloric intake. Vitamin D. Per besthealthmag.ca, mushrooms also contain something rarely found in other edibles such as fruits and vegetables – vitamin D, which mushrooms get from their exposure to sunlight as a plant. 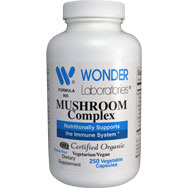 Portabellas fortified with vitamin D are sold in the U.S. Immune system. A study of mice published by the American Society for Nutrition found that white button mushrooms can enhance immune function by ramping up the production of antiviral and other cell-released proteins that can help protect and even repair our body’s tissues. Invading microbes beware! Metabolism. The B vitamins found in mushrooms help our bodies metabolize fats and proteins, and are key for converting food (carbohydrates) into the fuel (glucose) burned by our bodies to produce energy. Crimini mushrooms as well as the white button and oyster varieties come highly recommended when it comes to kick starting our metabolism. Brain function. Mushroom’s B vitamins also have been shown to aid in neurotransmission function, helping us to cut through “brain fog,” as draxe.com puts it. 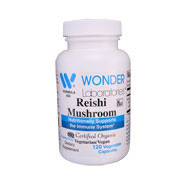 Also, some types of mushrooms, such as reishi, can lower cortisol, helping to produce more upbeat moods. The message is clear when it comes to mushrooms: Eat up!